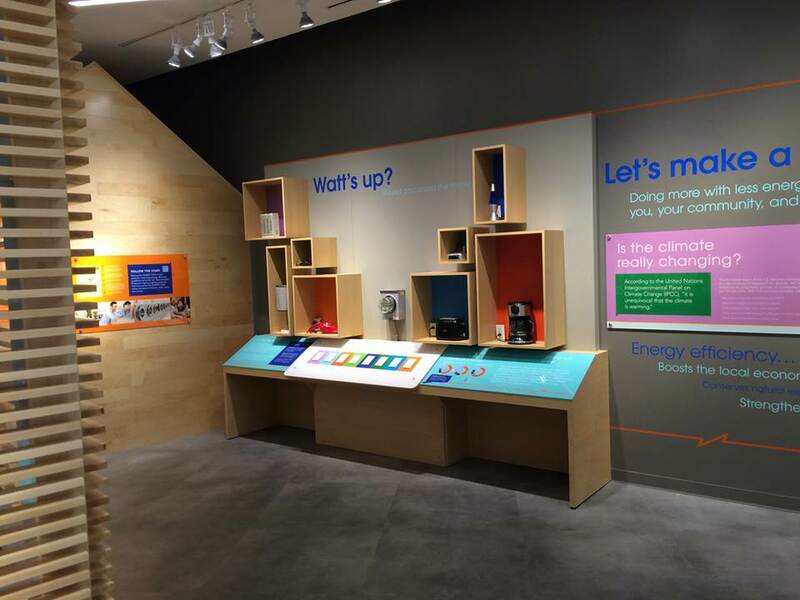 We now add to the list the newly opened Energize Connecticut Center in North Haven, CT. 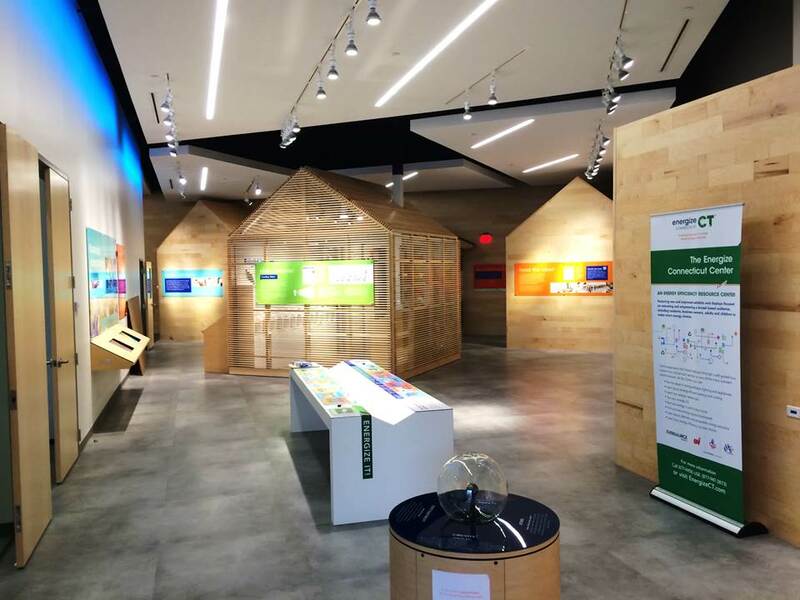 Designed by Strada, built and installed by Art Guild, the center focuses on teaching kids and grownups how the energy choices they make impact costs, comfort, convenience and the environment. 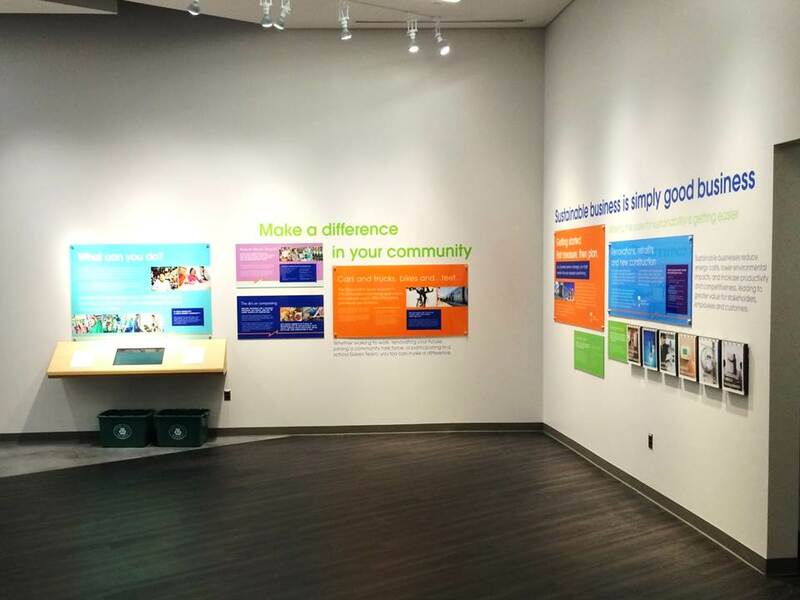 The fun part is how the center actually does this through a series of imaginative, hands-on, interactive exhibits that really bring the message home – literally. One exhibit lets up to four people compete on stationary bikes to see who can light a series of light bulbs first. 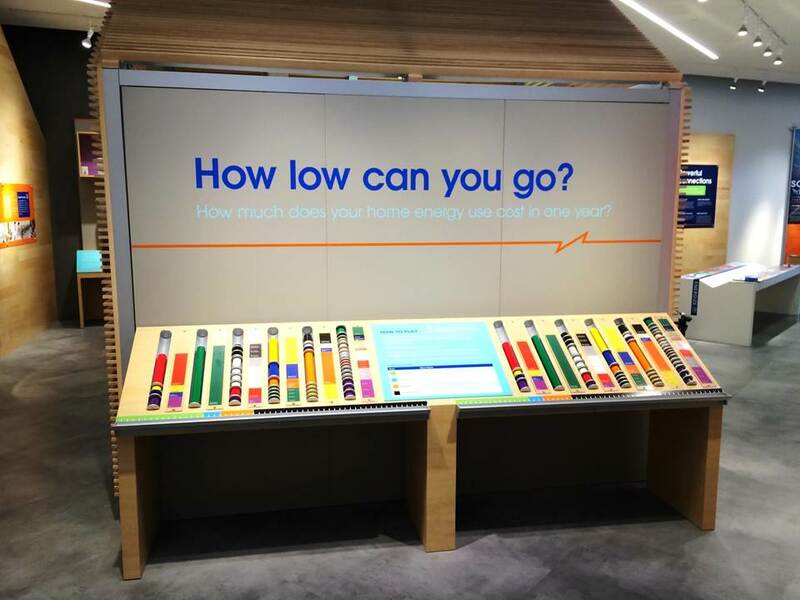 A wall-size Jeopardy game lets people show off their energy savvy. And then there’s the “cubby” wall of appliances (a clock radio, fan, hair dryer, coffee maker and more). Turn them on in different combinations to see how fast your choices make an electrical meter spin. 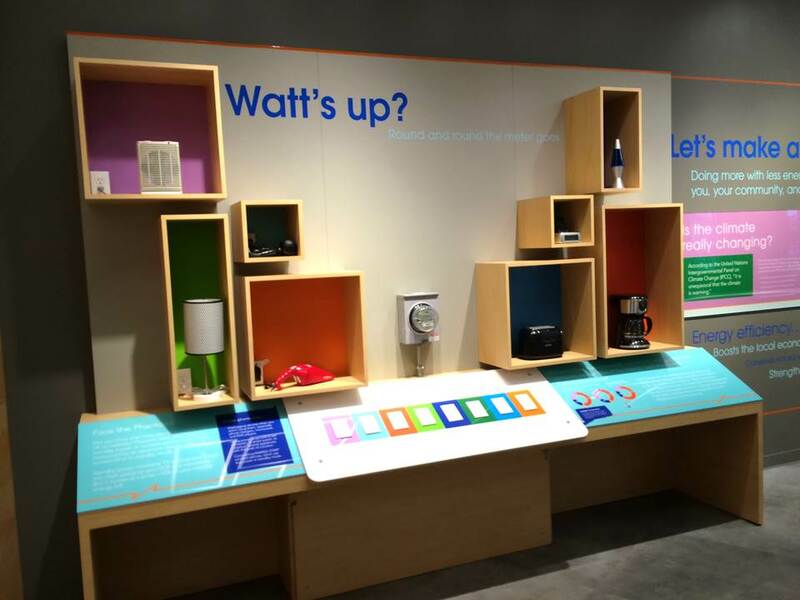 There are also exhibits on the impact of insulation, making your kitchen more efficient, how electricity actually gets to your home and of course alternative, renewable energy sources like solar and geothermal.